A news release issued Monday said agents, “as part of their regular duties and authorities,” boarded a bus at the downtown Greyhound station to check the immigration status of each passenger. The Canadian man, who has “an extensive criminal history,” initially provided false information, but later admitted he had illegally crossed the border several days earlier near Oroville in Okanogan County, according to the news release. Bill Kingsford, a spokesman for the Border Patrol’s Spokane sector, said the arrest happened around 6 p.m. on July 17, and that the man is 38 years old. Kingsford said he had been instructed not to release the man’s name. After spending some time in the Spokane County Jail, the man was transported to the Northwest Detention Center in Tacoma to await an immigration hearing, Kingsford said. Kingsford said the man’s identity would need to be discerned through court records, though he said he did not have a court case number. Current law permits Border Patrol agents to question anyone without a warrant within 100 miles of the border. 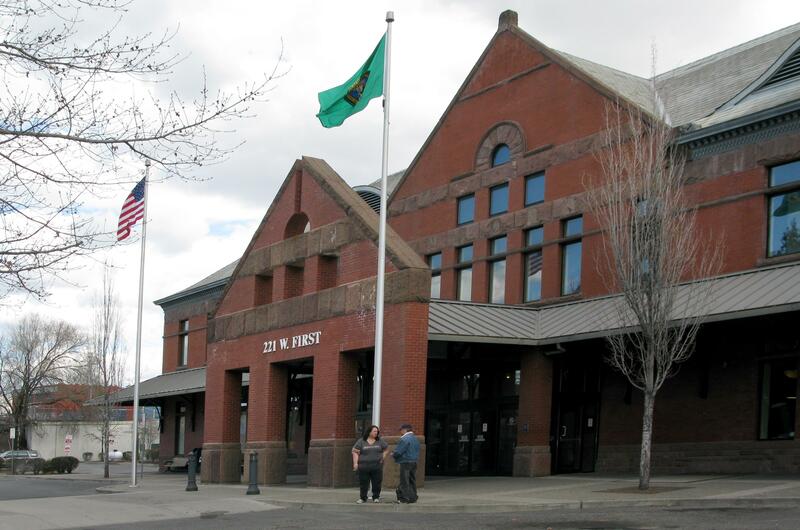 Searches at the Spokane Intermodal Center, which falls just within that area, have been ramping up in recent months. The American Civil Liberties Union has said at least 34 people were arrested by U.S. Customs and Border Protection in Spokane in 2017. Border Patrol data show Spokane agents made 208 apprehensions in fiscal 2017; of those cases, 24 accepted for prosecution. City Council President Ben Stuckart has suggested Greyhound is in violation of Spokane’s anti-discrimination laws by permitting federal agents on its buses, and U.S. Sen. Patty Murray, D-Washington, recently introduced a bill that would shrink the buffer zone for warrantless searches to 25 miles. Last month, a 36-year-old Mexican man filed a $75,000 claim for damages against Customs and Border Protection, alleging he was illegally detained on a bus trip that passed through the intermodal center. Published: July 23, 2018, 2:18 p.m. Updated: July 23, 2018, 4:55 p.m.